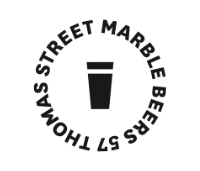 Operated by the award-winning Marble Brewery, 57 Thomas Street provides the perfect central location to finish our tour with its range of locally-brewed beers. The brewery itself is located just down the road and its changing range of beers on offer means you will always be able to enjoy something different. At Craft Beer Tour Manchester, we love the variety on offer and this is reflected in both our tour, and at 57 Thomas Street on any occasion!